Take a single-handed approach to get your body back in balance. Overtime, our bodies endure a multitude of physical stresses. Everything from sitting to running can cause changes to our physical structures. During this process, our bodies have no other choice but to compensate to do what we need to do each day. All of us have a dominant side that we usually want to take up most of the work. If we are right handed, we will primarily use our right side most of the time. 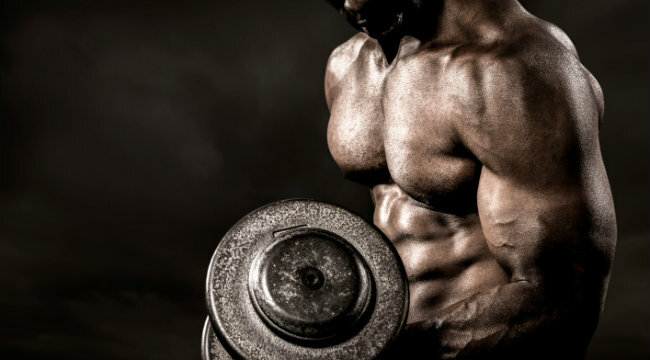 As a bodybuilder, I relied heavily on barbell training. Squats, deadlifts, bench presses, barbell rows and pull-ups were the cornerstone of my mass gaining program. After a while, I noticed some gaps in my training. I noticed that I was feeling odd pains and movement dysfunctions, so I looked into it. As we continue to overuse one side of our body, asymmetries in are bodies, in particular our skeletal muscle system, grow bigger and bigger. As our asymmetries grow, so do our chances for muscular imbalances, pain and injury during sport and exercise. Now, it is unrealistic to think that we can use each side of our body equally. It is just too high of an expectation to have. We will always gravitate towards the path of least resistance and use our strong side to move. So, how can we help balance out our body to reduce our asymmetries in our muscles? With my clients, I have implemented symmetry exercises in their strength training protocols in an effort to make each side of the body work independently and reduce compensation. Many people would think that in order to reduce muscular imbalances and asymmetries, you need to do a bunch of corrective exercise work, rehab, or whatever latest trend is. In my opinion, you can get back in balance with some solid unilateral training strength work. The concept is not magic. In fact, it is quite simple. All you have to do is perform unilateral strength training exercises in proper balance and with sound technique. Overtime, your body will start to become as close to equally as strong on each side. While you will never be perfect, this is your best defense against reducing asymmetries in the body. You must also use a balanced strength-training program as well. What I mean by this is that you can not only perform leg exercises, or only perform upper-body exercises. Instead, you need to work each major movement patterns in order to create as much balance as possible. This is the same with unilateral (1-arm press, 1-arm row) and bilateral training (barbell press, barbell row). You need a little of both. I like to think of the barbell as the older and stronger brother, and then his 2 younger brothers, kettlebells and dumbbells help round out the family. As a bonus, you will notice how much your heart rate elevates when performing single sided exercises. If you use enough load, you will feel you’re opposite side core screaming, sweat will build up, and you will be exhausted after this circuit. The metabolic affect from these moves will be quite humbling. 5 major movement patterns that must be addressed during any strength-training program include the following: pushing, pulling, squatting, hinging and loaded carry. Here is an example routine that you can implement into any workout program in order to reduce asymmetries and balance out your muscles. Grab a dumbbell or a kettlebell with one hand. Bend your knees about 30 degrees and hinge at the waist until your chest is almost parallel to the ground. As you pull the bell towards the outside of your midsection, make sure not to move the body at all. Lower the weight slowly until your arm is totally straight and repeat. 3 sets of 8 reps each side. Start by grabbing a dumbbell or kettlebell and place it tight to your body by keeping it next to your shoulder. As you press the bell above your head, make sure to keep your whole body flexed. If you start to lean to one side, or lose good posture, the weight is too heavy. This is where a mirror comes in handy. As you press the bell over your head, try and look as symmetrical as possible. Then, lower the bell slowly to the shoulder and repeat. Going down on 1 knee (half kneeling position) also helps you engage your core and stay more balanced. 3 sets of 8 reps each side. Find a bench or even a chair that is anywhere from 12-24 inches high. The height of the chair will depend on your strength level, so adjust accordingly. Place your arms and one of your legs in front of you. Then squat down while keeping very good posture and symmetry. Avoid leaning to one side. Once you touch the bench, come back up to the starting position and repeat. Once the height of the bench is too easy, go as deep as possible and add a kettlbell to load the weight. 3 sets of 8 reps each side. You can use the same bench or chair that you used for the 1-leg squat. 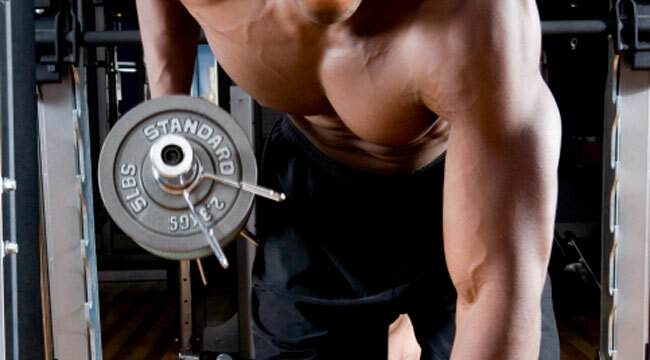 Start by placing your upper-back securely on the bench. Bridge your hips up until they are parallel to the ground. Then, place one of your legs up in the air so that only one foot is in contact with the ground. Begin the exercise by dropping your hips until your glutes touch the ground. Then, thrust your hips until they are parallel with the ground again, and repeat. 3 sets of 8 reps each side. Loaded carries are a very underused form of strength training. No other exercise transfers over into real life more than a loaded carry. No matter what our age or background is, at some point, we will have to pick up and carry heavy objects. The suit case carry mimics carrying a heavy load in one hand by our sides. You simply pick up a dumbbell or kettlebell that would be tough to carry for 40 meters, or so. The suit case carry helps improve core, oblique, upper-back and grip strength all in one. As you carry the load the key is to not favor one side. Instead, keep good posture and look as symmetrical as possible. 3 sets walking 40 meters or so each side.